Spotify is one of the best music streaming source. 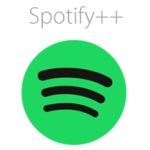 There are two different types of Spotify available for the users one is Free and other is Premium. 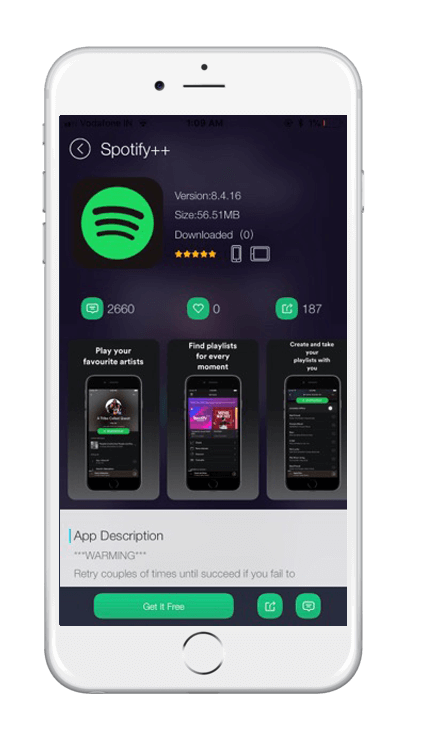 On free version, you get to listen your favorite music with lots of advertisement over it and in Premium you get to enjoy your music without advertisement along with some additional perks of premium version. On free version there is a limit over listening the songs offline and at the time playing whereas there is no any such limit for premium version which costs around $9.99 per month. However, you don’t need to worry about the monthly fees of premium version as I am sharing an iOS tweak with you guys. 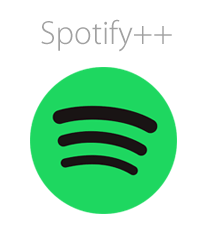 Spotify++ is a tweak which can help you to enjoy Spotify premium version for free. It is developed by a third-party developer so it is not officially available and I am going to share a complete download method with you. Navigate to Settings > General > Profiles & Device Management > Search for Spotify’s certificate > “Trust this App”. Now you will have icon of Spotfiy++ on the home screen and it means you can enjoy using it for free now! You should remember one thing that it may not be available for lifetime as Apple may revoke it anytime. In order to prevent it from getting revoked use NessTool anti-revoke app. If you are facing issues in downloading Spotify++ then feel free to share your issue with me using comment’s section. I shall try to help you out in solving your all relevant issues. If you know any music lover then do share this tweak with them as your share may save their a lot of bucks. Update (15th June): Certificate has been resigned. Please re-download it now. 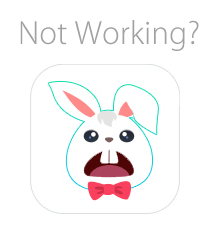 Being myself a TUTUApp user I know it is frustrating when it suddenly stops working. In this article we discuss some of the most frequently asked questions and their solutions. Problem 1: “Unable to verify the app”. TUTUApp is a third-party app (i.e. app not listed in iTunes App Store) which is why it requires a certificate issued by Apple to run on iOS devices. However due to sharing of paid apps and games from app store for free, which is a violation to their terms, Apple revokes their certificate occasionally. TUTUApp is a big organization with people working 24×7. Wait for an update from the team on Twitter and uninstall the old application and reinstall the latest one with new certificate. This is a big and frustrating issue which is why TUTU team has released NessTool an application that bypasses the Apple revokes which means it never stops working. So we highly recommend installing NessTool so to prevent this in future. Problem 2: “How to scan barcode to download TutuApp on iOS?”. iOS 11 default camera is now supporting barcode scanning ability. So just go to iOS download page > open your camera > and scan the barcode and follow the process it will get downloaded. Its easy. If you’re using an older version of iOS then simply install a barcode scanner app from App Store and scan to install TutuApp. Problem 3: “Nothing is coming after click to immediate and landing on Profiles Section”. Do nothing. After you click on click to immediate button and land on profiles section wait for a while till it shows a dialog box telling you to install. Once it pops, begin the installation. Problem 4: After installation of TUTUApp it shows “Untrusted Enterprise Developer”. Congrats on installing the app. Now you’re just few steps behind to use the app. Navigate to Settings > General > Profiles & Device Management > “Beijing Founder Electronics Co Ltd” (Name of certificate profile may vary within time due to app certificate revokes) > click Trust App > Done! Got more questions? Comment below. 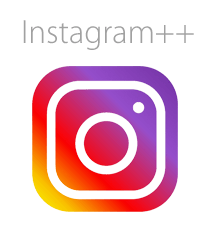 Instagram++ is the tweak of original Instagram with additional features and functionality. The Instagram++ app for iOS allows you to download images and videos from Instagram. It is one of the most secure way of downloading Instagram images and videos. Instagram++ also allows users to use two accounts on the same phone and downloading photos and videos at the same time. Being an extension of already popular social media, it is not officially available on Apple App Store. 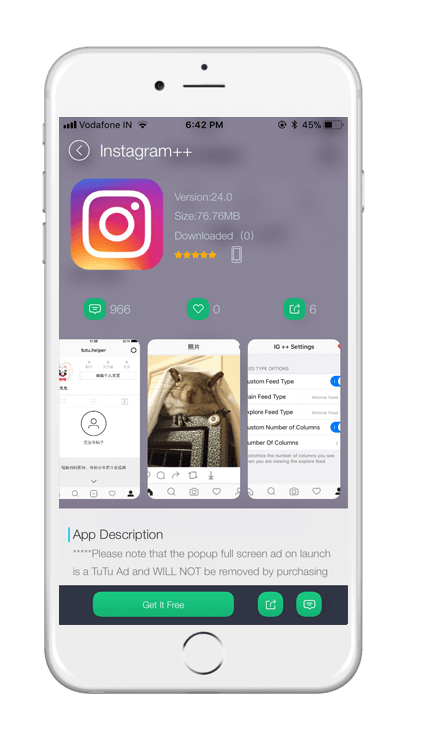 But don’t worry, as TUTUApp has it for you and I am sharing a detailed method to help you downloading Instagram++ for your iPhone/iPad using TUTUApp store. 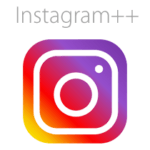 Instagram++ a modified version of actual Instagram and is developed by TUTUApp Team. It requires a minimum iOS 9.0 version to function. It let users save photos and videos from Instagram account as well as comes with repost option. It is a free app which also help users to use two accounts at the same time. All other features are exactly same as Instagram official app like; Chatting, messaging, sending videos and images. You can download any video or photo from Instagram within 60 seconds only which is really fast without putting your account or device on risk. First of all, Download TUTUApp and open the app store. Tap on Instagram++ icon Then tap on green “Get it Free” button and wait until it get installed on your phone. Now go to Settings > General > Profiles & Device Management > Find certificate of Instagram++ and click on “Trust this app”. Once done, launch the Instagram++ app and sign in using your Instagram credentials and enjoy! If you are facing issues in downloading Instagram++ then feel free to write your query in the comment box below. I shall get back to your queries. Apple’s app store contains millions of apps and games, most of them in apple app store is paid. If you want to download and install best apps and games to your iOS device then you have only one way to do it, that is by paying money to install it on your iOS device. 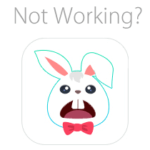 To overcome this particular problem Chinese developer developed an app called TutuApp which acts as an app store for both Android and iOSdevices. It is one of the best app available on the market. It is available for both Android and iOS devices. Apple just released iOS 11.0.3 for iPhones. So if you are running TutuApp on your devices you may face some problems. Here in this article, we have covered how to install TutuApp for iOS 11.0.3. 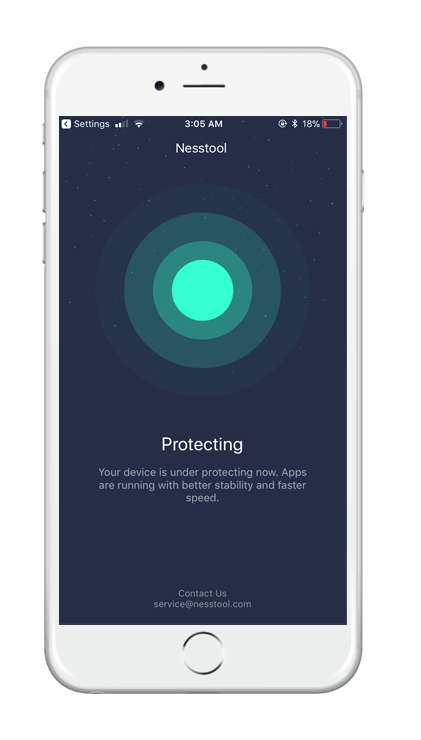 TutuApp app offers a wide range of features the important ones are stable download speed, simple UI, and categorized application sections. Hence you can easily search for the application and download it into the device. Now let’s get started. 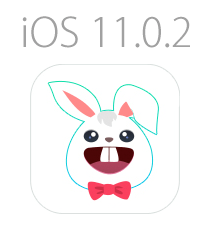 There are many methods on the internet to download TutuApp for iOS. I will be explaining you one of the best and easiest way to install TutuApp on your iOS 11.0.3 devices. Open your Safari browser and go to the download page. Now download TutuApp for iOS devices and install it. Once you have successfully installed TutuApp for your iOS device, the next step is you need to open it. 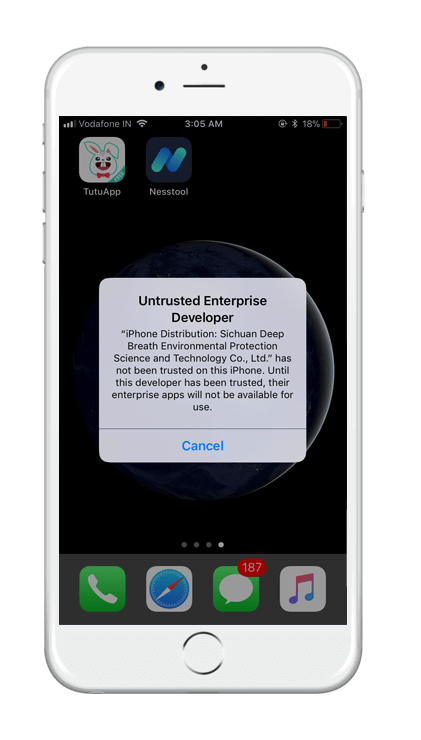 Once you open TutuApp you will be getting a prompted screen stating ” Untrusted Enterprise Developer certificate, you must trust the developer”. so don’t panic! we have a solution for you. Go to Settings -> open Device Management -> Tap on General -> Profile & Device Management -> tap TutuApp profile and trust it. That’s it now you can use TutuApp for your iOS device for downloading and installing paid apps and games. 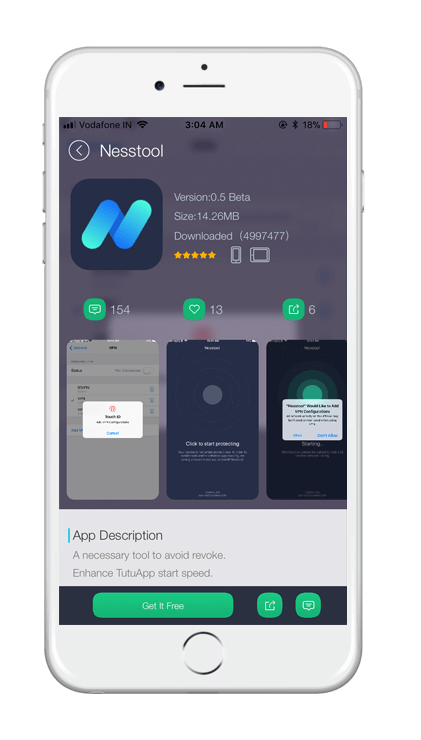 Additional Tip: To prevent TUTUApp from crashing every other week due to certificate getting revoked by Apple you will need to install NessTool, a free app by official TUTUApp team. The best and most popular paid apps for your iOS device are more affordable than ever, not through the official app store but using the newest version of TutuApp iOS 11.0.1 which will give you access to one of the biggest collections of the best apps and games that you had been looking for. iOS is a beautiful operating system but almost all of the apps on this platform have a price tag on them and when you are trying to download all the apps you need in a new iOS device, all that adds up. TutuApp is a great alternative where you can get the apps and games you need and everything is free to be downloaded, even the paid ones. If you are on a budget and you do not want to spend a lot on apps on your new iPhone then just download the TutuApp app store and you can install your favorite apps without having to spend a lot of money. TutuApp has a very simple and easy to use interface and the app is in English language by default so you do not have to use the translator to figure out how to download apps through this app store. It also works in PC and as well as the app store works perfectly with any regular iOS device, you do not need to jailbreak your device before using TutuApp to download apps. You can also find great tweaked apps and modified games on this third party app store. Navigate to “Time and Date” settings. Set the date of the device to exactly one year prior to today’s date. Tap on “Install” twice and “Done” to finish installation. Open the TutuApp iOS app store from home screen and download your desired apps.